Doors will open at 5:00p.m. and the program will run from 5:30p.m. - 6:30p.m. 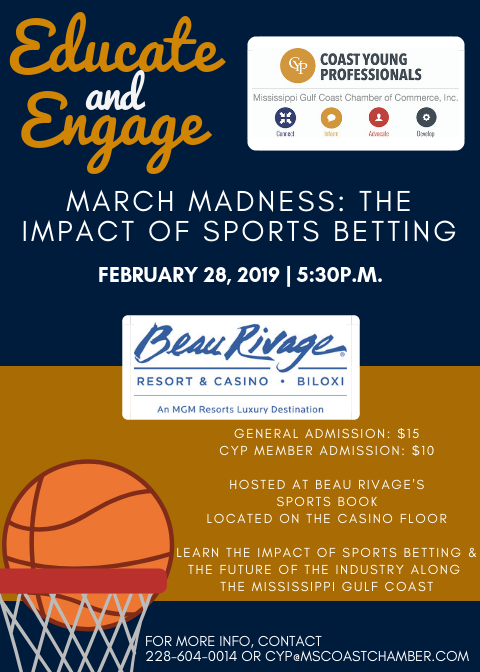 Join CYP at Beau Rivage's new Sports Book & Bar to hear about the economic impact that sports betting has had along the Mississippi Gulf Coast, and the future of the industry.